• No open flames or smoking on the premises. • No sharp objects, weapons or firearms on the premises. • Do not touch, harass or endanger ASLA performers. • Do not take, deface or destroy ASLA property. • Do not run in the haunted house; do not push or shove other patrons. • Do not bring bottles, cans, food or beverages into the haunted house. • Do not bring illuminating objects into the haunted house, including flashlights, glow sticks, etc. • Do not use cell phones, pagers, cameras, tape recorders or other electronic devices in the haunted house. • You will not be admitted if you appear intoxicated or under the influence of drugs. Violation of these rules and regulations will result in your immediate removal from the premises. For your protection and for the protection of ASLA employees, Plain clothes Security Personnel are on the premises and in the haunted house. ALL SAINTS LUNATIC ASYLUM IS AN INTERACTIVE HAUNTED HOUSE INTENDED TO SCARE AND SURPRISE YOU. THEREFORE IN ALLOWING YOU TO ENTER HAUNTED HOUSE, YOU REPRESENT AND PROMISE THAT YOU VOLUNTARILY AND EXPRESSLY AGREE TO RELEASE, DISCHARGE AND HOLD THEM, THEIR OWNERS, EMPLOYEES, CONTRACTORS AND OTHER PATRONS HARMLESS FROM ANY AND ALL LEGAL LIABILITY, PROPERTY DAMAGE or MEDICAL LIABILITY, AND PERSONALLY ASSUME ALL RISKS FROM ANY OF THEIR ACTIONS INCLUDING, BUT NOT LIMITED TO, NEGLIGENT ACTS OR STRICT LIABILITY ACTS. SOME OF THESE RISKS ARE APPARENT: PREGNANT WOMEN, PERSONS WITH HEART OR OTHER DEBILITATING CONDITIONS, ASTHMA, AND PERSONS WITH EMOTIONAL OR PHYSICAL TRAUMA SHOULD NOT ENTER THE HAUNTED HOUSE. OTHER RISKS MAY NOT BE APPARENT: YOU MAY BE INCIDENTALLY TOUCHED BY A PERFORMER OR BY AN ASLA EFFECT. FINALLY, THE ASLA CONTAINS DARK HALLWAYS, CONFINED SPACES, MOVING PARTS AND FRIGHTENING PERFORMERS. PHYSICAL INJURY FROM THEM OR FROM SUDDEN REACTIONS TO THEM MAY OCCUR. Strobe lights, fog machines and other disorienting apparatuses are used in the haunted house. PARENTS: ALL SAINTS LUNATIC ASYLUM may not be appropriate for your child. Children under the age of thirteen (13) will not be admitted without a parent or guardian. If you would like information in regard to ASLA's content, please ask our Venue Producer for further details. ALL SAINTS LUNATIC ASYLUM is not responsible for loss or damage to personal property. If you believe you have lost property in the haunted house, please leave your contact information with the Box Office. Lost personal property cannot be retrieved until closing. 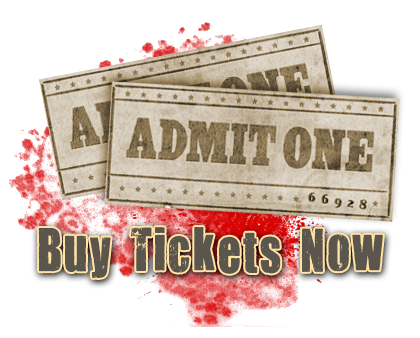 ALL SAINTS LUNATIC ASYLUM is a haunted attraction designed for entertainment purposes. Content is fictional. Any similarities to actual people, places or situations is purely coincidental. Video recording devices are located throughout the haunt. By entering the premises you are waiving the right to financial compensation and agree to have your video footage released and displayed for sole use of ASLA.